↑ Faust, M.; Timon, B. L. (2010). 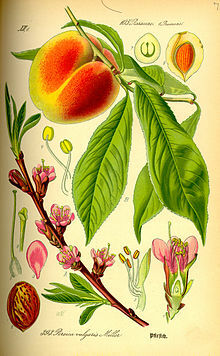 "Origin and Dissemination of Peach". 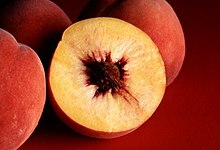 Horticultural Reviews. प॰ 331. doi:10.1002/9780470650585.ch10. आइएसबिएन 978-0-470-65058-5.